Looking For Professional Dental Care? When you need a personalized approach to dental care, Acadian Dental is ready to help you. We are proud to offer preventive, restorative and cosmetic dentistry to your whole family. We take a non-judgmental approach and are committed to helping you to achieve and maintain optimal oral health. Contact Acadian today for your next Houston TX dentist appointment. We believe that preventing dental diseases is of utmost importance. Prevention and early detection of dental problems such as tooth decay can help you to avoid pain and tooth loss. Our preventive dental services include oral exams, routine cleanings and dental X-rays. We offer these services for children as well as adults, so we’re happy to treat your whole family with preventative care. During your routine visits with us, we can also educate and instruct you on how to care for your teeth. We provide a full range of dental procedures. 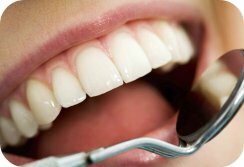 If you are seeking a brighter smile, we offer teeth whitening, veneers and tooth-colored fillings. Our restorative dental care includes complete and partial dentures, bridges and crowns. We also perform root canal treatment, periodontal care, dental implants and treatment for TMJ disorders. We offer appointments Tuesday through Saturday. Our office has occasional weekend and evening hours to coordinate with your busy schedule. If you need emergency dental care, we have reserved times to handle dental emergencies during our usual business hours. Acadian Dental offers dental services to Houston, Garden Oaks, Jersey Village and Cypress Fairbanks, TX. Our location has plenty of parking and a spacious patient care area with beautiful scenic views to help relax you before your appointment. At Acadian Dental, we strive to be the best Houston TX dentist, and your only choice for dental care. - Houston TX dentist appointments are available Tuesday-Saturday. - Some evening and weekend appointments are offered. - Please call our office for more details. In this procedure, a water-cooled instrument is used to clean the teeth while significantly reducing the need for hand-scaling. Preventive dentistry includes using protective sealants on children’s teeth, prescribing specialized toothpaste, using medications to fight gum disease and providing techniques to keep your mouth consistently clean. 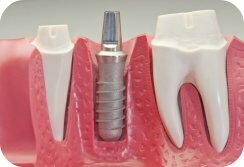 There are a number of different options for replacing missing teeth, which will be determined by you and the doctor. Look No Further Houston, TX! Book your next Dentist Appointment with us today!